Working as a freelancer has its fair share of challenges, as you have to perform a number of tasks that, in companies, are usually performed by other people. If you’re a freelancer, chances are you have to be your own boss, employee, accountant, manager and everything else in between. and sending out invoices, among other activities. Because of this, you might want to automate the process with apps, as much as you can. To calculate your earnings, you can turn to Clockify, free time tracking software, set your hourly rates, and track all your work hours, or fill them out in the Timesheet – Clockify will then multiply your hourly rate with your work hours tracked, and calculate your earnings. You’ll first need to create projects and tasks, add clients, name tags, and make sure you implement them in your time tracking: once you start tracking time on an activity, make sure to associate it with the right project, task and tag, and mark it as billable, so that the system is able to calculate your earnings for the right parameters. Once you’re done tracking time for a project, go to Reports, select a time period, filter by that project, and see how much you’ve tracked and earned. 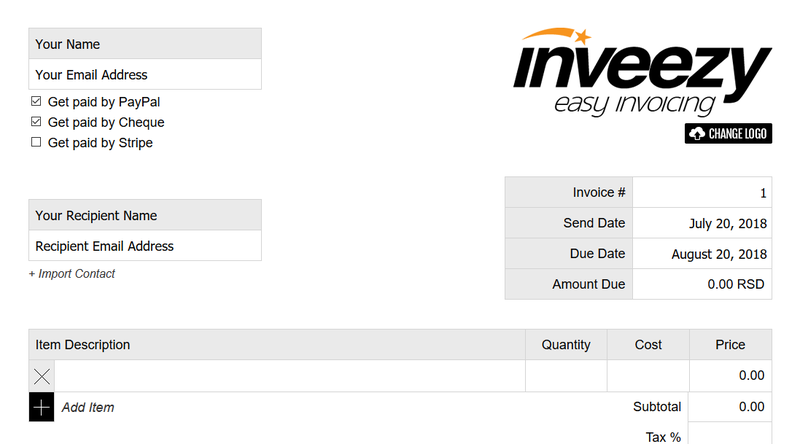 Later on, you can turn to a free invoicing tool, such as Inveezy, fill out an invoice with all the important data and your earnings for that project according to Clockify, and send it out to the client. Freelancers work away from a typical office setting, but that doesn’t mean you shouldn’t dedicate and adjust an area in your home just for work. You may feel tempted to work from bed – after all, this is a comfortable, cozy solution. But, it’s actually a harmful one. According to science, working from bed hampers your sleep quality, because you’ll stop viewing your bed as a place for rest – and you do need rest to perform your work productively. The best practice is to pick a room with no television and a reliable internet connection. You’ll also need a sturdy table and a comfortable chair. Have in mind that you might want to avoid standing desks, despite their recent popularity, as they can be harmful to your productivity, but also your health. The traditional table is the best option, one that has drawers where you can put all your important work material, to always be at hand’s reach. If you live in a small apartment, make sure to pick a corner to style for work; you’ll probably pick a smaller desk and chair, and invest in headphones, to block out background noises and the TV, especially if you don’t live alone. One of the factors you should have in mind are the predominant colors in your workspace – they have an influence on your productivity. For example, as one NASA study shows, the best color of the walls for a productive workplace is blue-green, because it impacts the mood of employees in a positive way. Adding some plants to your space designated for work is also a great idea, because green plants make employees more comfortable, and comfort ups their productivity, so it will up yours as well. Bring in as much natural lighting as possible during the day – it’ll improve your work performance, according to a study, as natural lighting improves your sleep quality and overall vitality. If you can’t bring in natural lighting, LED lighting is an effective alternative. Of course, you’ll also need dedicated lightning, such as a lamp, for when you’re working late at night, and a LED lighting, with its similarity to natural lightning, isn’t a good idea, as it may disrupt your sleep pattern. When choosing the type of lightning, just have in mind that research shows that cold light is best to make you alert; it also decreases fatigue. If you have an entire room for your work, and not just a corner, you can pick a spot when you’ll be able to relax and unburden during breaks. This can be a comfortable sofa or a chair beside the window – you’ll learn to associate this spot with relaxation, and it’ll be comforting to know that not everything in the room is linked with your work. As soon as you feel your work is becoming too much to handle, but you also feel that you don’t want to take a longer break, just go to your chair or sofa. There, you can sit quietly for a minute or two, or meditate, and then return to your work refreshed. When surrounded by colleagues, you’re less likely to procrastinate on the Internet or dabble with your phone, as your colleagues’ mere presence makes your more aware of what you’re doing. But, freelancers usually work alone, so they have no one but themsleves to make them accountable for their procrastination. A great solution for your phone would be to turn it off, and leave it far from reach so that you’re not constantly tempted to check it. As for avoiding Social Media during work hours, you can try a website blocker for your browser or device, and add all the websites you’ll want to block yourself access from during this period. For example, if you’re a Mac user, you can try out SelfControl. If you want to make yourself more accountable with your work, you can try out FocusMate – you’ll be assigned with a partner, to whom you can explain your task for the day and then work silently on it. This way, you’ll simulate a real office setting, and make use of another person’s presence to make sure you don’t procrastinate. Freelancer workers face bigger problems than full-time workers in terms of background noises because they work in a home setting – family members, TV noise, and pets are usually a part of their every day during work hours. As random conversations with family members, or being distracted by a pet takes away from your focus, you’ll have to make some adjustments and precautions. It’s best that you work in an isolated room; whether that is an option for you or not, tell your family members to act as if you’re also physically away during your work hours. Pick out some headphones and use them as an indicator that you’re focused on work – once you put them on, others will know you don’t want anyone to disturb you. Game soundtracks – the purpose of a game soundtrack is to immerse you in a game, so logic (and an article in Popular Science) tells us that listening to these soundtracks while working, will help you immerse yourself in work. There are several online radio stations that only play game music, and you can try out VGM radio. Instrumentals – They are a better option than music with lyrics, at least for some types of work: if you’re a designer, music with lyrics likely won’t avert your attention; but, if you’re a writer, listening to lyrics is likely to distract you from your writing, as you’ll be trying to interpet what you are hearing, which will affect your writing. There are a lot of longer instrumental pieces you can listen to on YouTube, such as this one. Or you can listen to classical music, such as Mozart, which also boost your productivity, according to the Mozart effect. Ambient noise generators – if you find that you’re more likely to focus when listening to ambient noise and nature sounds, you should try an ambient noise generator. There are various apps that offer an array of sounds (the most common ones are the sound of crackling fire, babbling brooks, the wind, cafe chatter…), so you can choose what works best for you. For example, if you find the sound of falling rain on various seasons helps you concentrate the best, you can visit Rainyscope. Decide on the time when you’ll officially finish your work day – you can follow a routine from 9 a.m.to 5 p.m., but considering you’re not bound by such rules, you can parse your day differently and be more flexible. For example, you can work in shifts, and work first from 10 a.m. to 2 p.m., and work again from 4 p.m. to 8 p.m, or style your work hours in any other way that fits your needs. Leave some time for socializing with friends and family and for hobbies – a freelancer’s schedule is flexible in terms of work hours, but this also means you may sometimes work more than an average full-time employee. You may have to work on weekends or holidays, and it’s important to allocate this relaxation time to other days. The freelancer’s workload can be vast and difficult to assess, and you’re usually the only one meant to do it. Todoist is a great project management app meant to help you create and manage your to-do lists and feel more in control about your workload. With it, you can define your tasks, set deadlines and reminders, add comments to your to-do items, and really streamline your work routine. Trello is a project management app that works like a Kanban board – you can track the progress of your tasks by moving them across customizable columns. You can create new boards for each project, and parse the project into tasks by allocating each to a card – you can then, for example, add “To Do”, “Doing”, and “Done” collumns, and move your tasks across them, to keep track of your work. Google apps include Gmail, Google Calendar, Google docs, Google keep and each of its unique features help automate your work. 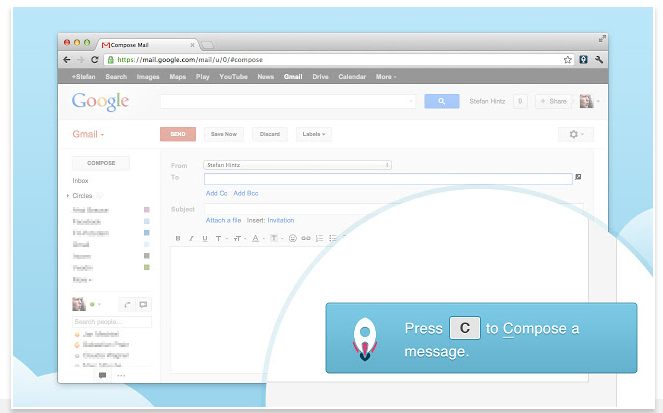 You can manage your email correspondence with Gmail. Google Calendar lets you block time for your tasks and everyday activities, and you’ll always have an hour-by-hour schedule at hand. You can work in Google Docs, and later access these documents from various devices. Google keep lets you take notes and set reminders for your work related activities. Clockify is free time tracking software that enables you to track the time you spend on activities – this way, you can see how productive you really are with your projects and tasks. You can track the time you spend on all work-related activities, and later analyze your results to see whether you’re really productive with your time – or if you spend too much time on trivial activities, or procrastinating. 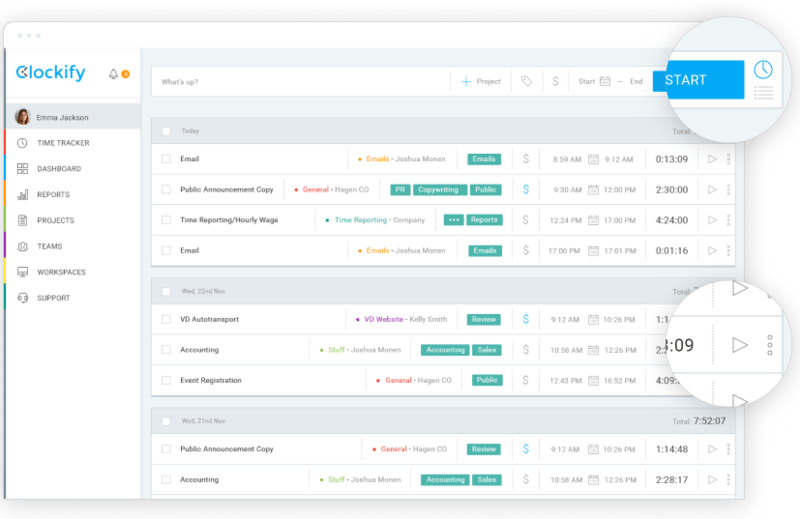 You can also integrate the Clockify Chrome extension with 100+ various project management apps (including Trello and Todoist), development apps (Jira, Github…), other productivity apps (Evernote, Google apps…), and business apps (Zendesk, Salesforce…). This way you’ll be able to track the time you spend on their features, to really streamline your business. For example, if you are working on an item from your to-do list in Todoist, you can turn on the Clockify timer direclty from Todoist, and track the time it takes you to finish that item. Freelancers have to contact clients, arrange contract terms with them, decide on the deadlines, and otherwise communicate and cooperate with the clients, all on their own. Setting deadlines may be a challenge, as you have to take into account your client’s wishes and your own capabilities. If you rush a project due to a short deadline, you risk a low-quality result and losing this client for the future. Because of this, it’s best that you first give your client an estimate on how much time the project might take to finish – it’s best that the estimate is more relaxed so that you likely finish earlier than what you’ve estimated. This way, you’ll save yourself the stress of rushing to finish a project and be more relaxed and more likely to finish the project in the best possible way. It’s important that you retain a good relationship with your clients, and you’ll do that by maintaining good communication with them. You’ll probably be communicating with your clients via email, and considering that people spend a lot of time on emails without actually needing too, you’ll have to work out an email strategy, so that you’re fast and productive with your replies. You can consult an app for this as well – for example, KeyRocket helps you automate inbox management with keyboard shortcuts. Not all projects are equally important, profitable, or manageable, and it’s important to learn you should say “No” from time to time. For example, when you find that you can’t finish a project within the deadline set by the client, or when you see you won’t have time to work on it. Steve Jobs maintained the policy that “Focusing is not about saying ‘Yes’, but about saying ‘No’” – you can’t focus on your most important project, when you have 3 average projects waiting for you, and you can avoid these 3 average projects by simply saying “No”. So, prioritize your projects, and consider whether you should decline a new project so that you have time to work on a more important one.